Check out our Upcoming Events here at the PA Dutch Farmers Market of Wyomissing. We have our All You Can Eat Pancake Breakfast every 2nd Saturday of the Month as well as our Old Fashioned Pig Roast held the last Saturday of every month from April thru October. Stop by Christopher's Meat Market and pickup the very finest in USDA Choice and USDA Prime FRESH Cut Meats. 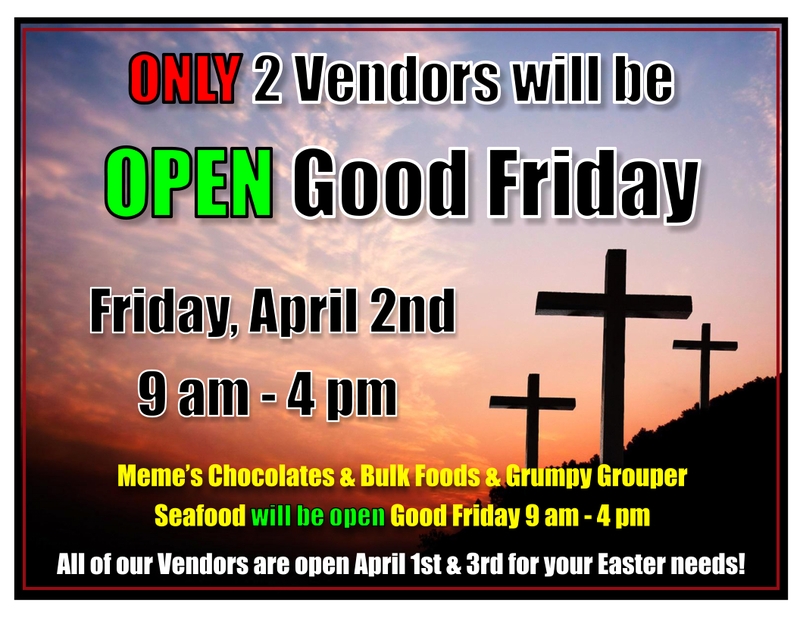 The Farmers Market of Wyomissing is pleased to have Grumpy Grouper as a vendor at the market. Our stand is located directly in front of you as you walk into the Market. We sell Wild Caught and Sustainable Seafood. Shop, eat and socialize! The PA Dutch Farmers Market of Wyomissing is always stocked with fresh, locally grown, and organic produce directly from the fields, luscious fruits, delectable meats and cheeses, and the most mouthwatering baked goods and candies around! Stop by for a gourmet coffee, slice of pizza or tasty omelet straight off the grill. Meet the local farmers and share in their deep Pennsylvania Dutch heritage. Each vendor at The PA Dutch Farmers Market will help you bring a touch of the rich, bountiful PA Dutch farmlands to your home.